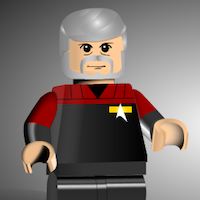 Chris's post: "I wish I had a real shuttlecraft." Sally's reply: "Granted, but it only has a lawnmower engine in it. I wish I had sharks with lasers on their heads." I wish we had real tricorders that worked like in the shows/movies. Granted, however it only has a 3 minute battery life, and we don't have the charge cables for it because they won't be invented for 300 years. Granted, but they all look like old beater cars from the 70s and make silly "vroom vroom" kid noises when they run. I wish I could fly through space without any ill-effect or alternate propulsion system. Granted but its all a bunch of cardboard. I wish for a pot of gold. Granted, but it's really just chocolate coins. I wish cake had zero calories. Granted, but those calories are converted into pimples on your face after eating, at a 1:1 ratio. I wish the Light Phone 2 (http://lightphone2.com) was out now.